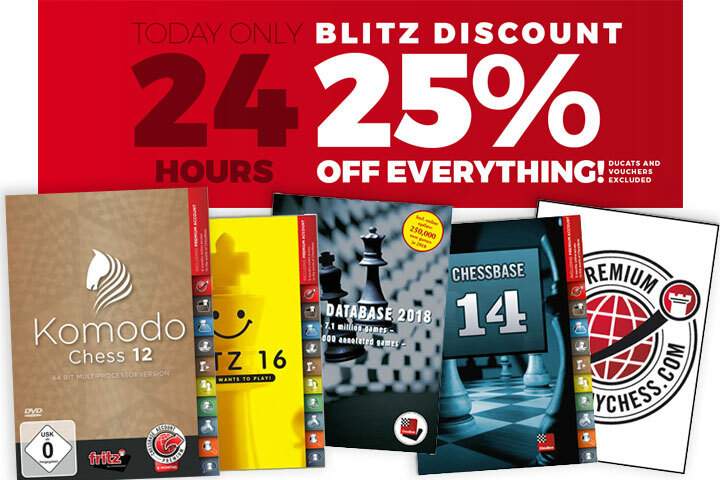 #1320 25% Off, 24 Hour Sale At Chess Base! 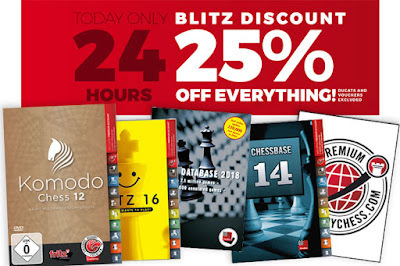 25% off, 24 hour sale at ChessBase! Abujawdeh lost his re-match against Kernighan but retained the lead. NM Mauricio Camejo won twice to move into a tie for 2nd. I picked-up a pair of simultaneous victories in the Caro-Kann, & am now tied for 4th, but was clearly worse in both games. Arun Advani (1001 p/6) joined, bringing the number of participants to 15. Registration is expected to remain open for the entire tournament. 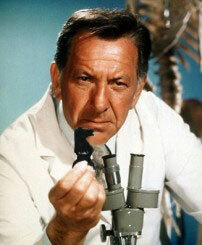 For event details see post #1308. Sam Abujawdeh extended his lead to 2 points by defeating LM Mark Kernighan. Dave Lazarus beat Bob Hunt and is now tied for 2nd. I arrived late and didn't play. I had a winning position vs. tournament leader Sam Abujawdeh but blundered away a Rook & the game. Pat Mazzillo (1257) joined. The tourney now has 14 players. 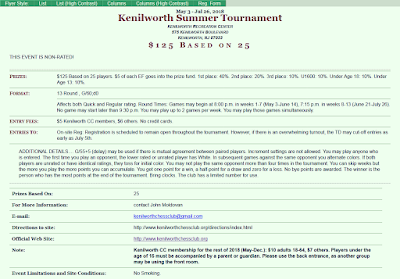 The Kenilworth Summer Tournament got underway on last night with a 13 player field. 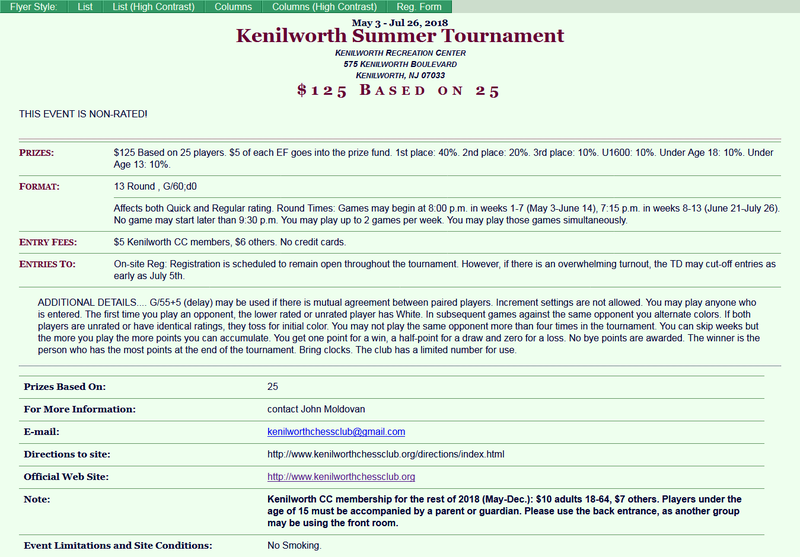 #1313 Kenilworth Summer Tournament Starts Tonight! On Sunday, I was a filler in the last round of Westfield's G/45 Quads. The White team of LM Mark Kernighan, Ed Selling, Paul Gottlieb and Joseph Dovydaitis won the Kenilworth Consultation Game held April 12-19.